My youngest son who is six years old loves stuffed animals, which he calls "cuddly friends". It's hard to find stuffed animals that are "boyish". Most stuffed animals are marketed towards girls and the ones that could be gender neutral typically are in pink packaging or will have pictures of little girls holding the elephant/monkey/dog on the box. Once my son sees this type of packaging it instantly means to him that it's suppose to be "for girls" and sadly he is not interested in playing with it. 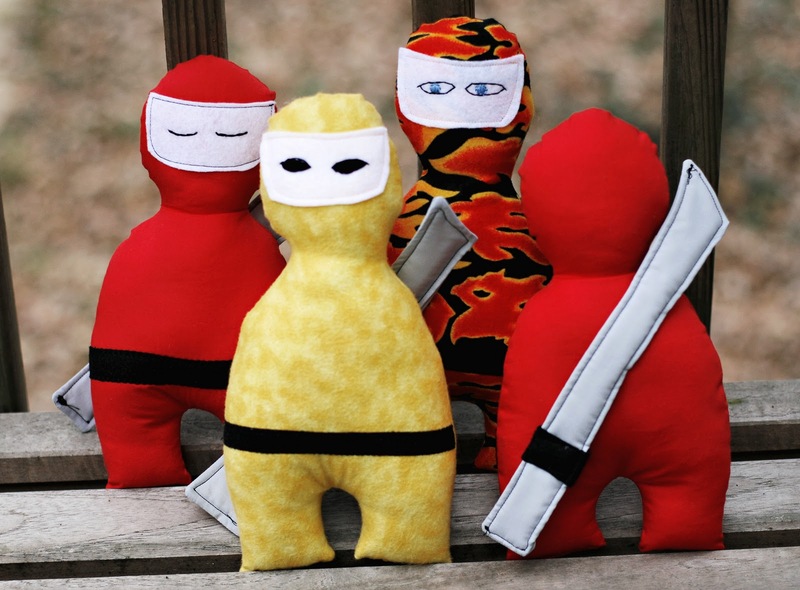 I decided this year for Christmas every boy on our list was getting a doll, a stuffed ninja doll! We couldn't possibly be the only family having this issue with stuffed animals being marketed to girls and yet our boys want them. I drew the pattern out on paper and used different types of fabric, cottons and flannels, the masks were all felt with embroidered eyes. I also made swords, you can't be a ninja without a sword! At least my boys think that. I added a thick interfacing inside the sword to make it slightly stiff. To attached the sword I hand sewed it to the ninja's back. 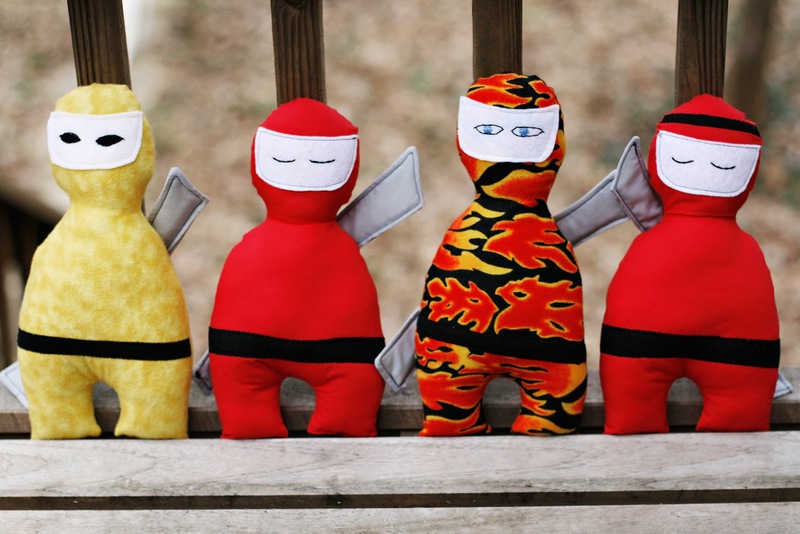 All the boys who received a ninja doll loved it and my heart felt so good seeing them being enjoyed. It's okay for boys to have "cuddly friends", why can't the toy industry understand that? This is so true Gretchen. Well almost all the toy industry think about guns, tanks and other things made out of hard plastic. Some times it is nice to have just a "cuddly friend" to sit and read with or watch TV. For me my cuddly friend is my dog.